Lock in a great price for The Kings Arms Inn – rated 9 by recent guests! 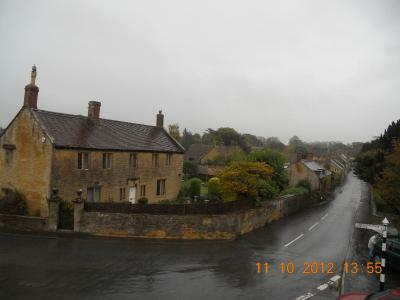 Our stay at the Kings Arms was absolutely delightful. ( Sept 24-26, 2018) It is situated in the tiny picturesque village of Bishopton, right next to a very old parish church which is a destination itself. It's an easy stroll to Montacute House, a National Trust property which is quite spectacular. St. Michaels Mount is right behind the hotel if you want a climb and a great view of the surrounding countryside. The hotel and surrounding village glows in the evening as it is made of golden stone. The staff were very friendly, there is good off street parking, and a very excellent restaurant at the hotel. The beds were extra comfy, and there was a real soakers tub in the large bathroom. A perfect stay. The Kings Arms is the most beautiful hotel I have ever stayed in. Spotlessly clean, comfortable bed, good shower, they hadn't forgotten anything. 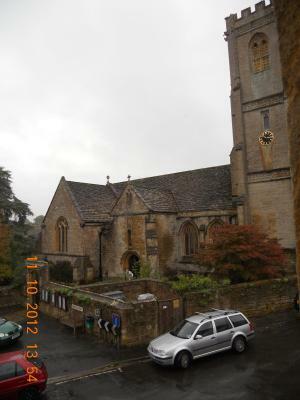 Montacute is a charming village and a great place for a little stroll, even has a toy museum there. The breakfast was perfect too, lots of choice and sitting in lovely surroundings. I travelled with my husband and adult son. We all liked the comfort of the rooms, the friendly staff and especially the quality of the dinner. Room had a small fan, stand up shower, and the overall cleanliness of the entire facility was great. Menu was great but a little on the fancy side. All areas had great natural lighting. The restaurant at the King's Arms was a discovery and I would recommend it warmly to anyone living or travelling in the area. We had a delicious dinner, with quite the most exquisite fish I have ever eaten - done to perfection, light and crunchy, and served on a bed of vegetables that were full of flavour. The rest of the menu was equally satisfying. Wonderful pub in a very attractive village, with very comfortable public areas. Only stayed one night but will be going back! Lovely property, comfortable room & Good breakfast. 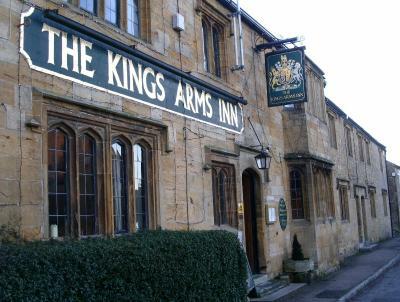 The Kings Arms Inn This rating is a reflection of how the property compares to the industry standard when it comes to price, facilities and services available. It's based on a self-evaluation by the property. Use this rating to help choose your stay! 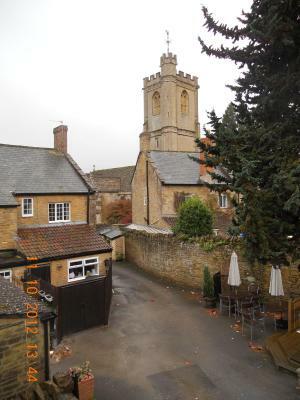 The Kings Arms is an 18th Century Inn located in the picturesque village of Montacute near to the stately home Montacute House, used for filming 'Sense and Sensibility'. Our 15 spacious, rooms with attached bathroom have recently been refurbished and most offer exquisite views of South Somerset. We have an on-site restaurant and a bar with an open roaring log fire providing various meal options and a relaxed atmosphere. 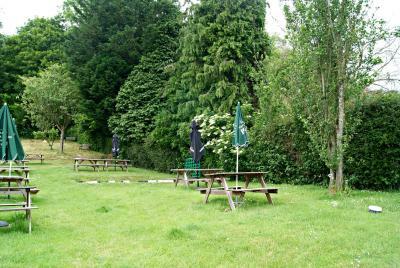 The Kings Arms Inn offers easy access to nearby Yeovil. 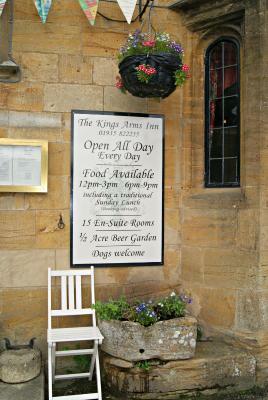 When would you like to stay at The Kings Arms Inn? This family room has a electric kettle, tile/marble floor and cable TV. Large room with luxurious fittings and a spacious private bathroom. House Rules The Kings Arms Inn takes special requests – add in the next step! 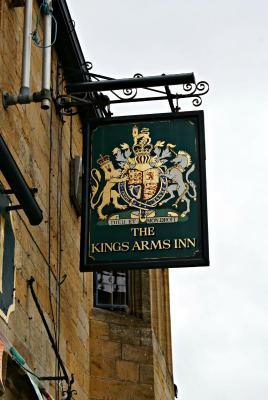 The Kings Arms Inn accepts these cards and reserves the right to temporarily hold an amount prior to arrival. Please note, pets are only allowed in allocated dog friendly rooms upon request only. Guest are advised to book a table if an evening meal is required. Meticulously clean premises in gorgeous location. Dining room and dinner worth the trip alone. Great beer garden out the back. I do like a bowl of fresh fruit with my yogurt. Breakfast excellent. Trimmed bacon and a little pot of beans. Perfect. Fresh fruit at breakfast ( apart from oranges) would have been welcome. The staff were very friendly and accommodating. The room was clean and comfortable although not one of the biggest. The breakfast was hearty and served cheerily with a smile. As is often the case with old buildings where the original rooms have been subdivided, the fan noise from the next room's shower was quite loud - a nuisence when the occupants leave the bathroom light on for long periods. A fact of life in historic hotels! 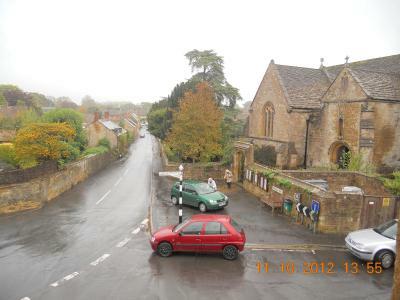 Excellent location in a picture-postcard village. Historic building well-maintained and restored. Very friendly and helpfull staff, and very good evening menu and excellent breakfast. Very nice to be able to walk in the park in the evening, and only a few yards walk to the Montacute House (National Trust) which is definitely worth visiting. Very easy to get to from the A303, and an excellent base for exploring the area. 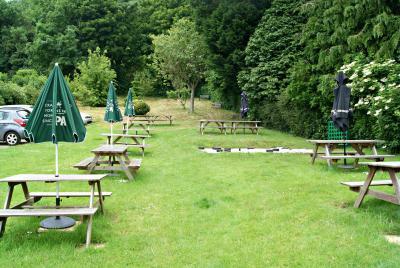 Wonderful hostelry in great location, everyone very friendly and helpful. Both breakfast and dinner excellent. Recommended, great value too. After a break of nearly 3 years since my last visit it was a pleasure to find the same familiar faces and a warm and friendly welcome. The staff are a delight and very obliging. It was good to see there had been some redecoration since our last trip. Another very pleasant surprise was that the cost seemed to have been frozen in a time warp. The menu lived up to previous experiences and the price was unbelievably reasonable. It was all round outstanding value for money. Breakfast was spot on. And served with a smile. What more could you ask to set you up for the day? Comfy, homely and welcoming...food was very tasty and the time we're able to cater to my dietary needs (non dairy pescatarian). Really helpful on all fronts! Very friendly staff and atmosphere. Great food in the evening. Would definitely stay again. Great location (could not be closer to Montecute House). Free parking, very good room at very good price and very good breakfast menu. Evening menu was also excellent. Service was the best ever. Room rather small, not much going on in the village. The food at the inn was fantastic, the meal in the evening and the breakfast the following morning. Towels were a bit old, and you could hear the ventilator of the neighbour's bathroom too clearly. Great location, good restaurant downstairs, pictoresque surroundings. Brilliant place. Good breakfast and Zoe is a lovely lady.